Dr. Cathy Akens is the Vice Chancellor for Student Affairs at the University of North Carolina at Greensboro. In this role, she provides leadership for staff who oversee a wide array of programs and services that focus on impacting student success and learning through the co-curricular experience. Before joining UNCG, Dr. Akens worked at Florida International University, where she served as Associate Vice President for Student Affairs and Dean of Students, Assistant Vice President, and Director of Residential Life. She held other positions in residential life at both FIU and Bowling Green State University. At FIU, Dr. Akens also served as the Division’s liaison to the Higher Education graduate program and taught in the areas of student development, campus crisis management and contemporary issues in higher education. She has been engaged in professional service and scholarship throughout her career and is currently co-editing a book on college students and their environments which will explore how universities create culturally engaging communities. 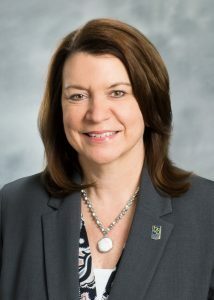 Dr. Akens earned a Bachelor of Arts in Communications from the University of Toledo and a Master of Arts in College and University Administration from Michigan State University. Her Doctorate in Higher Education is from Florida International University. Throughout her career in Higher Education and Student Affairs, Dr. Akens has established herself as a dedicated advocate for students, a proven leader and mentor.